Sjokker bathroom accessories have an elementary design. Their sober shape and finish in shiny chrome makes these accessories never go out of style, and will survive your bathroom with ease. The soap dispenser is a good example of this. 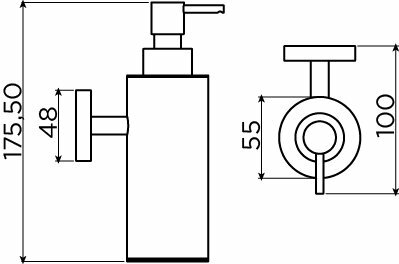 A common problem with soap dispensers is that soap deposits in the outlet of the soap dispenser. If you then take soap you risk that the soap sprays up and lands on your clothes. In Sjokker soap dispensers, the soap leaves the soap dispenser through an opening at the underside of the spout. Because of this there is no risk for the soap to spray your clothes. 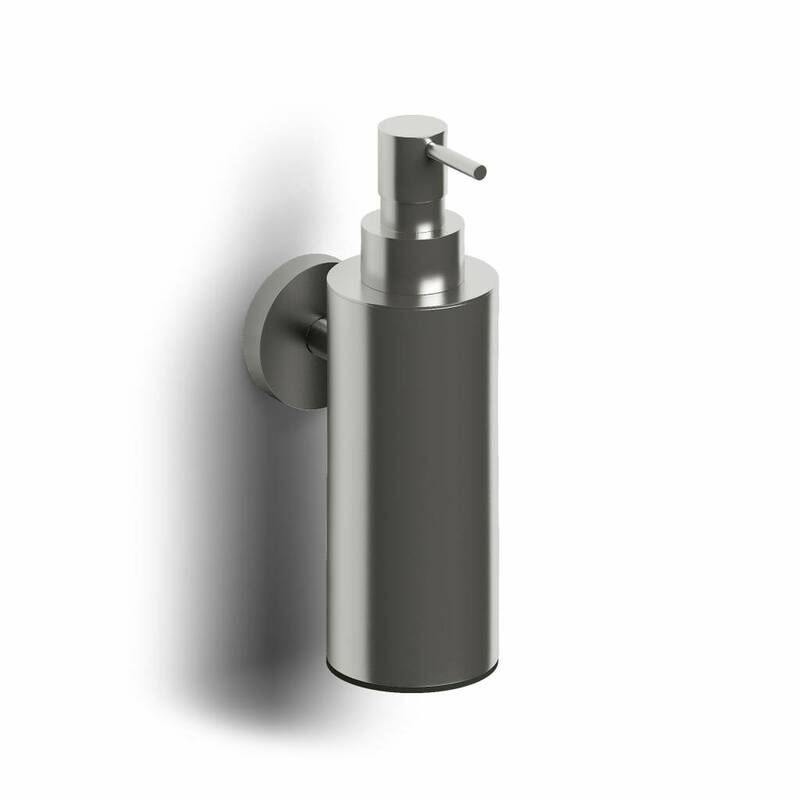 The Sjokker soap dispenser consists of a metal body. 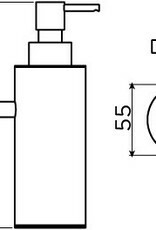 An inner plastic bottle contains the liquid soap. This inner bottle is easily taken out of the container to refill the soap. Products in matt white and matt black are made of brass and are provided of a color by means of powder coating. Powder coating provides a very durable and easy to maintain color layer. Powder gives a very thick and very hard lacquer, much more durable than other paints. Moreover, this method is very environmentally friendly since no solvents are used and virtually 100% of the powder ends up on the product. 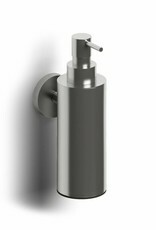 The Sjokker soap dispenser is mounted with a metal plate that is screwed to the wall. The soap dispenser is hooked on this fixation, and secured with a setting screw.